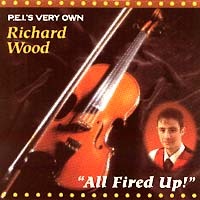 The cover of "All Fired Up" has the fiddle set in velvet, showing how precious the instrument is to Richard Wood. This album was recorded a couple of years after releasing his first cassette recording "Cutting The Bow." The album shows the passion for the Celtic music and the release of high energy this young man possesses. The thought in mind when arranging the compositions on this album was to take his listening audience on a journey full of life and to make you want to get up and dance. 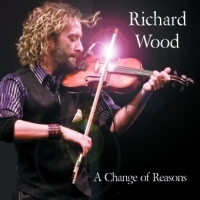 With each new recording, Richard gives his followers new and fresh numbers of his own composition which are starting to get very popular with other musicians and his audience. Manufactured by - Music manufacturing Services, Mowat Avenue, Toronto, Ont.